The 2014 World Series of Poker Event #25: $2,500 Omaha/Seven-Card Stud Hi-Low began with 470 players, but after 28 levels of play it was England’s John Kabbaj that emerged as the last man standing. Kabbaj, who won the 2009 WSOP Event #45 $10,000 World Championship Pot-Limit Hold’em for $633,335, captured his second gold bracelet and a $267,327 first-place prize. The third and final day saw 18 players return to action, and it didn’t take long for the field to be cut in half. Within the first four hours nine players hit the rail including Matt Glantz (18th - $7,784), who was the short stack at the start of play; Michael Roeseler (17th - $7,784); WSOP bracelet winners Konstantin Puchkov (16th - $9,462), Owais Ahmed (15th - $9,462), Allyn Jaffrey Shulman (14th - $11,676), and Robert Mizrachi (13th - $11,676); seven-time WSOP Circuit ring winner Chris Reslock (12th - $14,605); online pro Andrey “gigaloff” Zhigalov (11th - $14,605); and the Day 1 chip leader Fu Wong (10th - $18,519). The final nine players combined to the unofficial final table, and then that bubble burst in Level 24. It happened in stud hi-lo when Joe Tehan completed for 20,000 and Marks called. Erik Seidel raised to 40,000 and both opponents called. On fourth, Seidel bet 40,000 and Tehan called. Marks moved all in for another 24,000 and both opponents called. Sixth and seventh were completed and the players turned over their cards. Seidel had a six-high straight and low draw but could not get there. Marks was hoping for the low as well, but ultimately failed. 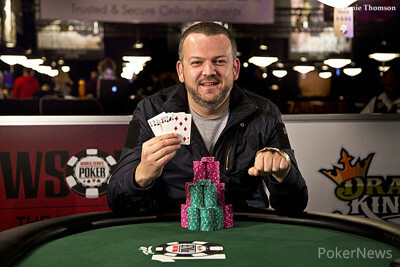 Tehan scooped the pot with two pair and entered the official final table as the chip leader. From there, Tom Schneider and Mike Leah bowed out in eighth and seventh place respectively after an active round of Omaha hi-low, and then Seidel followed them out the door in fifth after getting it in against Thomas “Thunder” Keller in a hand of stud hi-low. Keller followed that up by eliminating Tehan a short time later, and a short-stacked Terrence Hastoo bowed out in fourth. Three-handed play lasted for awhile, but Christopher McHugh exited in the O8 round. Kabbaj began heads-up play with a more than 2-1 chip lead over Keller, and it didn’t take long for him to seal the deal. Kabbaj won two big stud hi-low hands to cripple Keller and then finished him off in a hand of O8. Congratulations to John Kabbaj on winning Event #25: $2,500 Omaha/Seven-Card Stud Hi-Low for his second gold bracelet and $267,327 in prize money. That does it for our coverage of Event #25, but there is still plenty of action to sweat in our Live Reporting Section. John Kabbaj completed to 50,000 and called the three bet to 100,000 with the showing. Him and Thomas Keller got all single bets until fifth in and Keller only had 35,000 left, Kabbaj put him all in and Keller called off. John Kabbaj brought it in with the and then called when Thomas Keller completed to 50,000. Kabbaj then check-called a bet on fourth before leading out on fifth. Keller called and then bet on sixth when Kabbaj check. Kabbaj announced a check-raise to 200,000, Keller called, and it was off to seventh. Kabbaj bet 100,000 and Keller reluctantly called. Kabbaj's kings were good as Keller mucked. 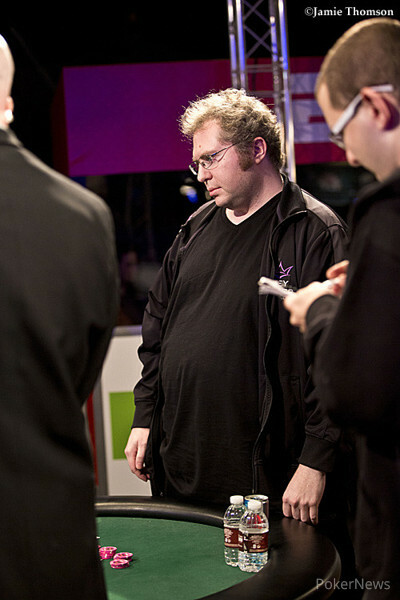 Two hands in a row saw John Kabbaj increase his lead significantly. In the first one he completed with the showing and then bet fourth, fourth and fifth to enforce a fold from his opponent on fifth. Kabbaj then completed with the showing and three bet to 120,000 after the raise of Thomas Keller. Kabbaj called the 40,000 on fourth and then led fifth, sixth and seventh for 80,000 each. Keller called with an ace showing and ultimately had a pair of kings. The two pair of Kabbaj scooped the whole pot in the very last hand of level 27. The final two players are now on a short break. Cards will be back in the air shortly. 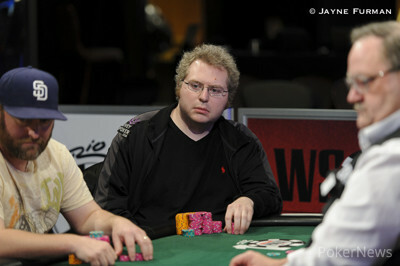 After dwindling down to 215,000, Christopher McHugh played a hand of O8 against John Kabbaj. It began when Kabbaj opened for 80,000 from the small blind and McHugh defended from the big. 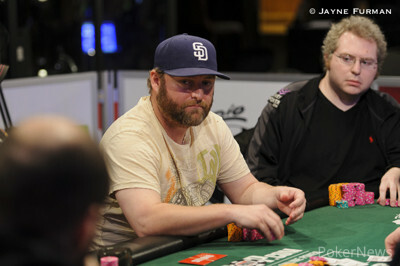 The flop saw McHugh call a bet from Kabbaj, and then the appeared on the turn. Kabbaj bet 80,000 and McHugh called, leaving himself just 15,000 behind. Kabbaj then bet the river and McHugh was hesitant but knew he really had no choice. He tossed in his last three pink T5,000 chips with for sevens and fours with a missed low. Kabbaj then rolled over the for a full house and the win. Did you know that in May 2014 a factory worker from Rutherglen, Australia, won over $2,700,000 at online slots with a simple $1.50 bet? If you feel like you are having your lucky day and you would like to hit a big score, do not miss the complete list of the five richest progressive jackpots available right now at William Hill Casino! Our live reporting sponsor CasinoSmash has put together a complete list of the biggest jackpots available today, with small reviews of the slots games and links to play using the highest bonuses available in the industry. Head to CasinoSmash and discover which are the top five progressive jackpots available at William Hill right now! John Kabbaj started with the showing and Thomas Keller had the before both increased their respective draw tendency with the and the . Kabbaj kept betting on fifth before they checked the sixth, the Brit bet seventh again. Ultimately, Keller's two pair won the hi pot and Kabbaj almost bricked to secure the low on the very last card. That same card could have also given him the wheel or straight for an even bigger lead. Will Erik Seidel Capture His 9th WSOP Gold Bracelet Today?